1.01 This policy provides a governance structure for the investment of University Funds. The University is committed to maintaining adequate cash levels while responsibly investing Excess Cash with an appropriate level of risk. 2.01 Excess Cash – cash held by the University beyond forecasted cash needs. 2.02 Internal Loan – an investment of University Funds in an administrative, academic, or ancillary project with specific repayment terms for principal and interest. 2.03 Minimal Default Risk Investment – an investment of University Funds with a low Risk Tolerance that is guaranteed by the Government of Canada or a Canadian Chartered Bank with a DBRS credit rating of at least R1-middle (or the equivalent from Moody’s or S&P). Examples include Treasury Bills, GICS and other similar investments. 2.04 Risk Tolerance – the ability to handle fluctuations in the market value of an investment and potential loss of principal. 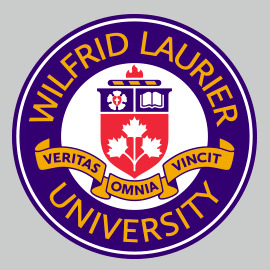 2.05 University Funds – financial assets held by the University excluding the endowment fund, pension fund, and loans provided to the Wilfrid Laurier University Students’ Union (WLUSU). 3.00 This policy applies to all financial assets of the University excluding endowment and pension funds which are governed by their respective Statements of Investment Policies and Procedures. It also excludes the loans provided to WLUSU which are governed under the Comprehensive Loan and Debt Agreement between the University and WLUSU. It applies to all administrative, academic, and ancillary units of the University. 4.01 A Minimal Default Risk Investment that matures within two years must be approved by either the VP Finance and Administration or the AVP Financial Resources or delegate. These investments should be annually reported to the Finance and Investments Committee. 4.02 The Board of Governors (on the recommendation of the Finance and Investments Committee) must approve all other University Funds invested externally that do not qualify under Section 4.01 of this policy. The Investment Oversight Subcommittee should recommend an appropriate investment manager and/or investment vehicle, Risk Tolerance, and asset mix. 4.03 All investments of University Funds must have an appropriate level of liquidity, with the ability to convert to cash as needed by the University without material delay or penalties. 4.04 All investments of University Funds will be carefully monitored by Financial Resources with performance annually reported to the Finance and Investments Committee. With respect to investments under 4.02, quarterly reports will also be delivered to the Investment Oversight Subcommittee. 4.05 On an annual basis, the Board of Governors (on the recommendation of the Finance and Investments Committee) must approve the amount of Excess Cash available for Internal Loans. The Board will also have discretion to set limits on the maximum size of an individual Internal Loan. 4.06 Any capital acquisitions or other purchases using an Internal Loan must be made in accordance with Signing Authority Policy and Procurement and Tendering Policy. Acquisitions of real property and major capital equipment must also be approved by the Board of Governors (on the recommendation of the Building and Property Committee). 4.07 Internal Loan requests must be submitted to the VP Finance and Administration or AVP Financial Resources who will base the approval on the available funds and a business case presented by the borrowing unit. 4.08 Once an Internal Loan is approved, Financial Resources will prepare an agreement outlining the terms of the loan and will provide a copy of the agreement and a repayment schedule to the borrowing unit. 4.09 Interest rates for Internal Loans will be fixed for 5 years with a repayment period no longer than 25 years (subject to 4.10 below). Rates for new Internal Loans will be set based on the University bank deposit rate plus a percentage approved annually by the Board of Governors (on the recommendation of the Finance and Investments Committee). 4.10 Internal Loans for real estate purchases will be given an interest rate equivalent to the spread between the University current mortgage rate and the University bank deposit rate, if the property is considered collateral and within the strategic direction of the Campus Master Plan. For real estate purchases, repayment periods beyond 25 years may be considered and require approval of the VP Finance and Operations.